With sirens wailing, Stevie Stone’s “Oneness” featuring the legendary Peetah Morgan is the latest battle cry to emerge from his Strange Music debut, Rollin’ Stone. Eyes open and focus sharpened, Stevie Stone rips into the aggressive production on “Oneness” while Peetah Morgan of the revered Morgan Heritage lays down a hook drenched in fierce reggae flavor. Stevie Stone has never sounded so hungry and with “Oneness”, the rugged emcee combines the volatile spirit of the streets with the sounds of a genre known for revolution. 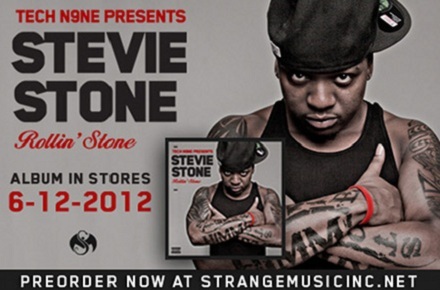 If the streets are still calling, Stevie Stone has the answer. Click here to listen to “Oneness” on HotNewHipHop.com. What did you think of “Oneness”? Are you familiar with Peetah Morgan?